A bear paw design is featured on this A Bear Was Here Sconce add this conversation piece to your rustic home decor. Made in the USA. 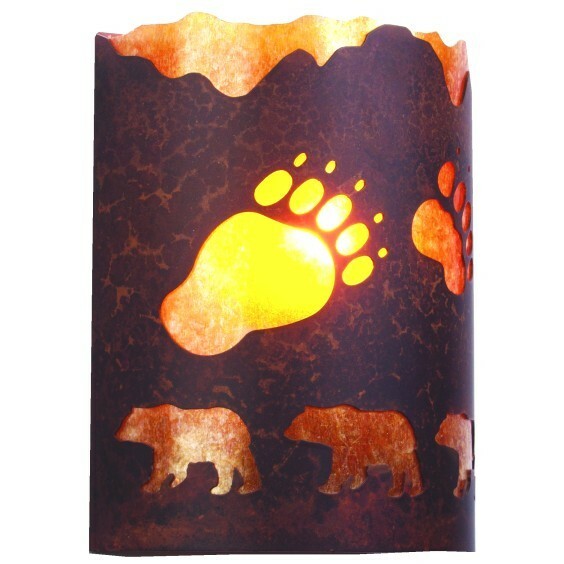 A bear paw design is featured on this A Bear Was Here Sconce add this conversation piece to your rustic home decor. This rustic bear sconce measures 12"H x 10"W x 4"D and uses one100 watt regular base light bulb.